The 2012 ukadia conference saw colleagues from across the ukadia network and the wider arts and design sector discussing and debating the opportunities and challenges for creative education across the spectrum from schools to Higher Education. Comedian Josie Long, co-founder of Arts Emergency, an organisation working to keep subjects in the Arts and Humanities accessible to everyone, opened the debate with a by-turn hilarious and impassioned speech/set following the pre-conference dinner. She introduced what was to be a re-occurring theme at this year’s event; that of the non-financial value to the individual and society of creative and cultural education, and where this sits in the new landscape of increased fees. 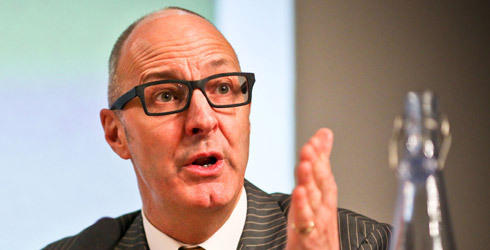 Taking diversity and difference as his point of reference, writer and broadcaster, Simon Fanshawe, drew on his experience as Chair of the governing Council of Sussex University to tackle four key areas that the HE sector needs to consider. He emphasised the need for institutions to make clear to prospective students and their families the value of university as an achievable aspiration, referencing the need to continue to widen the social mix of universities; that our universities must be relevant to the current challenges of 21st century life and work - clarifying their “purpose”; that we must understand what prospective and current students and their families value about our institutions; and lastly we must clearly define our institutions, making sure that diversity and difference are key drivers in pointing to and shaping those definitions. Emma Hunt, chair of CHEAD (Council for Higher Education in Art and Design), provided an insight into the work she has been undertaking as a member of the Parliamentary Design Commission, set up to look at how design can drive economic and social improvement and how government and business can better understand the importance of design. The Commission’s report, Restarting Britain: Design Education & Growth, poses four key questions: ‘Why does design matter?’, ‘Where are we now with design education?’, ‘What are our competitor nations doing?’ and ‘What can we do to continue to compete?’ The report re-emphasized that design often falls frustratingly between the remits of two government departments, DCMS and BIS. There is a need also for alignment with the policies of the Department of Education so that the pipeline to further and higher education and the design sector is maintained. Other presenters included Steve Moffitt of A New Direction, presenting his perspective on the legacy of ‘Creative Partnerships’ programme and the role of the new ‘Bridge’ organisations; and Steve Besley of Pearson Education giving, as ever, a comprehensive and succinct update of the current picture in education policy. Wes Streeting of the Helena Kennedy Foundation, Kate O’Connor of Skillset, Elizabeth Rouse of University of the Arts London, and Lizzie Crump of Creative Learning Alliance gave thought-provoking responses to questions from Andy Westwood, Chief Executive of Guild HE, about the ‘best of times, worst of times?’ for creative education as Dickens’ 200th anniversary was celebrated.